Follow the trends of female chefs who are making their mark on the food industry. So, let’s catch you up on the 21st century female chefs who are helping shape the future of the restaurant industry, including what each are literally bringing to the table for you to savor. 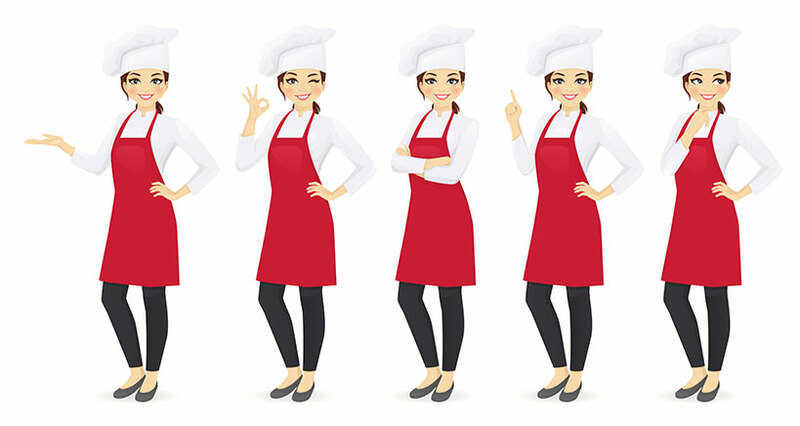 Here are some of the past and present women chefs and bakers who have been cooking up a storm, gaining the visibility and accolades they rightly deserve. Known for bringing French Cuisine to the American public, Child’s claim to fame began with her debut cookbook, Mastering the Art of French Cooking, and continued with multiple television programs, the most notable of which was The French Chef, which premiered in 1963. Running for 10 years, the show won both Emmy and Peabody Awards, however the real star was Child herself, who attracted audiences with her boundless enthusiasm, cheery disposition, distinctive ‘warbly’ voice, and non-patronizing manner. Subsequent best-sellers written by Child include: The French Chef Cookbook, Mastering the Art of French Cooking Volume Two, and From Julia Child’s Kitchen. In 1981, she founded the American Institute of Wine & Food to “advance the understanding, appreciation and quality of wine and food,” and in 1989, she published what she considered her magnum opus, a book and instructional video series collectively entitled The Way To Cook. Julia Child’s famous kitchen, which was the setting for three of her TV shows, remains on display today in Washington, D.C.’s National Museum of American History. A renowned African American chef, teacher, and author, Lewis is credited with shaping and refining the American view of Southern cooking. She championed the use of fresh, in-season ingredients and wrote and co-wrote four books on Southern cooking and life in a community of freed slaves. In 1992, the James Beard Foundation (the renowned national non-profit culinary arts organization which annually names five restaurants from across the country “American Classics”) honored Alice Waters by naming her the first ever ‘Outstanding Chef.’ Since then she has become a culinary legend at the forefront of the organic food movement. 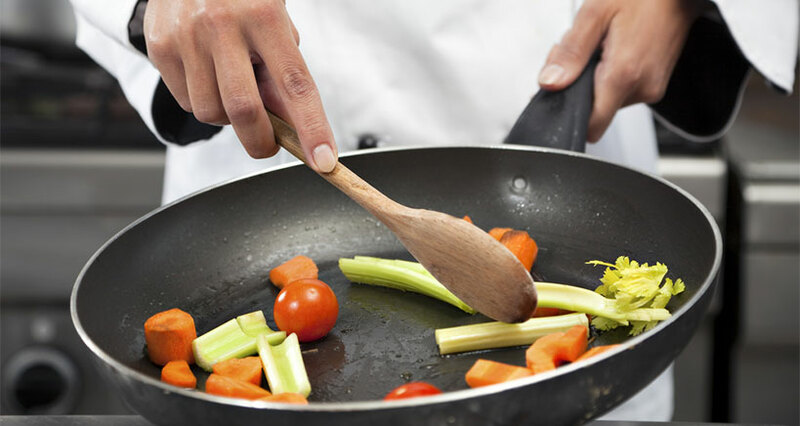 A master in cooking with organic ingredients, Waters has had a significant influence on public policies in the White House and is active in promoting public education about food and nutrition. In 2005, Comerford became the first female White House Executive Chef, maintaining the position under the Clinton, Bush, and Obama administrations. An artist-turned-chef and première pastry expert, Falkner owns several restaurants in San Francisco and New York, has taught professional pastry making in Japan, and won the top prize in the Freestyle category of the 2012 World Pizza Competition in Naples, Italy. In 2005, Cora was the first female to earn the title of Iron Chef on the Food Network. Dedicating her life to food and philanthropy, she is also founder of Chefs for Humanity, an organization that unites chefs to provide hunger relief and promote nutrition education worldwide. In addition, Cora is the executive chef for Bon Appétit magazine and a spokesperson for UNICEF. In 2008, Izard was the first female to win “Top Chef” on Bravo TV and remains the only “Top Chef” winner to also have been voted Fan Favorite. The owner and executive chef of three Chicago restaurants, her Girl & the Goat establishment was nominated by the James Beard Foundation for best new restaurant in 2011, and in 2013, Izard won the Beard Award for Best Chef Great Lakes. In 2010, the Food & Wine Magazine named her Best New Chef. One of America’s most recognized culinary experts, Crenn won the World’s 50 Best Female Chef award and is widely known for her famous Netflix Chef’s Table show. She is a longtime champion for female chefs and continues to put a media spotlight on women who are thriving in the food industry. One of seven ‘fierce female chefs’ whose struggles and successes were featured on Good Morning America, Guarnaschelli is not only executive chef at Butter, one of Manhattan’s hottest restaurants, but the culinary queen, as she has been called, also stars in several of her own Food Network shows while juggling the responsibilities of parenting. 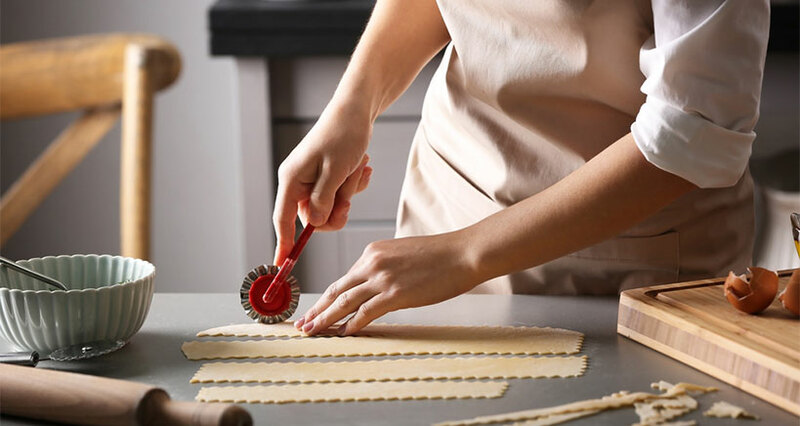 Additional trailblazing female chefs who have become household names include: Nancy Silverton, April Bloomfield, Barbara Lynch, Odessa Piper, and Judy Rogers. Best known today for her television show and magazine, Martha Stewart Living, Stewart is considered an American media mogul. She rose to fame as the author of books and her signature brand on cooking, entertaining and decorating. Notably, she shares that she trained herself by reading Julia Child’s Mastering the Art of French Cooking. Stewart started her catering business in the late 1970s and soon gained prominence for her gourmet menus and creative, one-of-a-kind presentations. Within only 10 years, Martha Stewart, Inc., grew into a $1 million business serving several corporate and celebrity clients. Her published books include: Entertaining, Martha Stewart’s Quick Cook Menus, Martha Stewart’s Hors d’Oeuvres, Martha Stewart’s Christmas, and Martha Stewart’s Wedding Planner. Following the debut of her magazine, Martha Stewart Living, Martha Stewart, Inc., became Martha Stewart Living Omnimedia, Inc. That empire grew to include a syndicated newspaper column, a series of how-to books, a radio show, a cable television show, an Internet site, two magazines, a recipe publication – as well as a whopping $763 million in annual retail sales. In the realm of fine dining, there is no greater accolade than achieving Michelin three-star status. While the coveted award began in 1933, it was not until December 1, 2018 that a US female chef, Dominique Crenn, received the honor. To this date, she is among only a handful of women worldwide to ever achieve the distinction, with the number of male chefs awarded stars greatly outnumbering their female counterparts. This exclusive list includes: Marie Bourgeois, Eugenie Brazier, Nadia Santini, Sophie Bise, Marguerite Bise, Carme Ruscalleda, Anne-Sophie Pic, Clare Smyth, Elena Atzal. 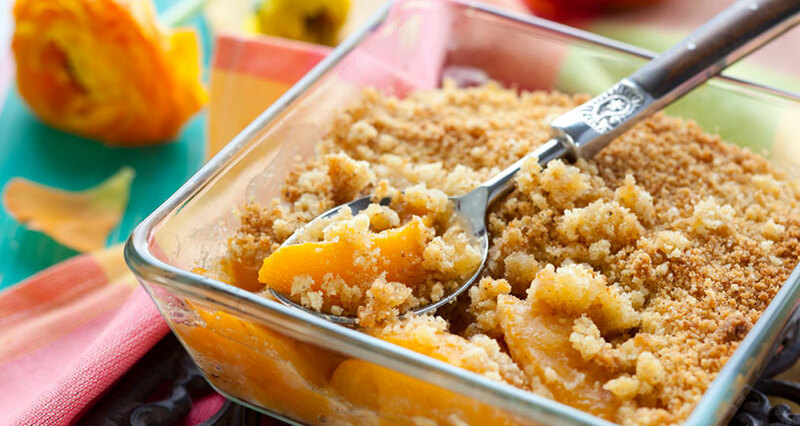 Place peaches, cornstarch, cinnamon, and dark-brown sugar in a large bowl. Toss until well combined. In a large bowl, combine flour, ¼cup sugar, baking powder, and salt. Using two knives or a pastry blender, cut in the butter until the mixture resembles coarse meal. In a liquid measuring cup, whisk together egg and cream. Add slowly to dry ingredients, mixing with a fork until dough just comes together. Roll out dough onto a lightly floured board and roughly shape into a 12-inch log. Cut log into twelve equal portions. Place rough balls of dough on top of peach mixture. Sprinkle with remaining 2 tbsp. of sugar. Cool slightly. Serve with vanilla ice cream or whipped cream. 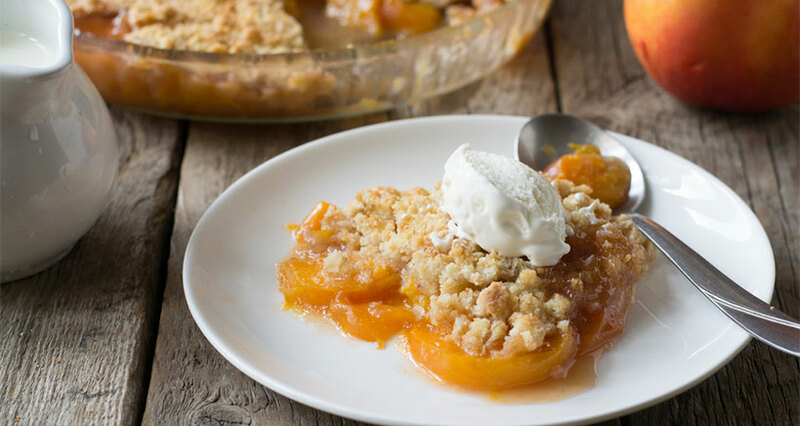 Combine peaches, sugar, lemon juice, cornstarch, and salt. Transfer to an 8-inch square baking dish. In a large bowl and using a mixer, beat butter and brown sugar on medium until light and fluffy. Add flour and salt and then mix by hand until large pieces form. Scatter over filling. Bake 40-50 minutes until center is bubbling. Cool for 20 minutes before serving.